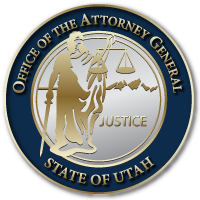 SALT LAKE CITY – Utah Attorney General Sean D. Reyes today joined 55 other state and territory attorneys general to urge Congress to reauthorize the Violence Against Women Act (VAWA). The attorneys general sent a letter earlier today to congressional leaders and the chairs of the Senate and House Judiciary Committees, urging lawmakers to vote to reauthorize VAWA before it expires this year. Under VAWA, originally passed in 1994, over $6 billion in grant funding has been awarded to government and nonprofit organizations nationwide. The grants have funded training and assistance to address and reduce domestic violence, dating violence, sexual assault, and stalking. The grants have also funded resources and services to assist survivors, prosecute offenders and facilitate partnerships between prosecutors, judges, advocates, community organizations and health care providers. In their letter, the attorneys general emphasized the importance of VAWA in reducing the rate of sexual violence toward women and addressing the devastating effects of these crimes. They urged Congress to continue funding for programs that have helped millions of domestic violence and sexual assault survivors. Joining Utah, Florida, and Illinois in submitting the letter were the attorneys general of Alabama, Alaska, American Samoa, Arizona, Arkansas, California, Colorado, Connecticut, Delaware, District of Columbia, Florida, Georgia, Guam, Hawaii, Idaho, Indiana, Iowa, Kansas, Kentucky, Louisiana, Maine, Maryland, Massachusetts, Michigan, Minnesota, Mississippi, Missouri, Montana, Nebraska, Nevada, New Hampshire, New Jersey, New Mexico, New York, North Dakota, N. Mariana Islands, Ohio, Oklahoma, Oregon, Pennsylvania, Puerto Rico, Rhode Island, South Carolina, South Dakota, Tennessee, Texas, Vermont, Virgin Islands, Virginia, Washington, West Virginia, Wisconsin, and Wyoming. You can find a copy of the joint letter here: https://attorneygeneral.utah.gov/wp-content/uploads/2018/09/Letter-to-Congress-VAWA-Letter.pdf. This entry was posted in Recent Posts and tagged US Congress, Utah Attorney General, VAWA, Violence Against Women Act on September 17, 2018 .